Cristiano Ronaldo is maybe definitely leaving Real Madrid this summer. Or not. 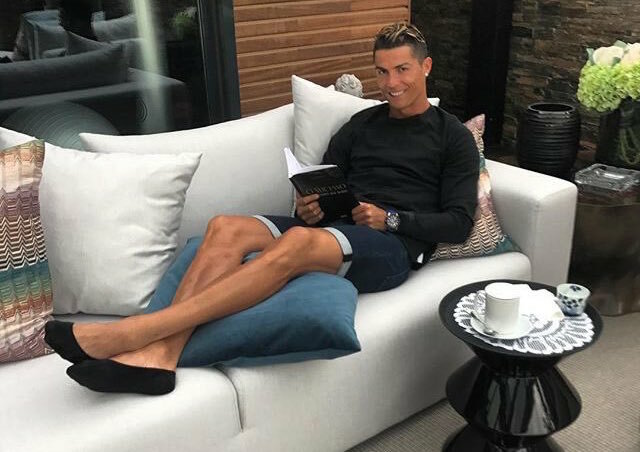 What better way for Cristiano Ronaldo to distract from a negative story than with rabid speculation as to where he could play next season? Maybe he’ll go back to Man United! Sporting want him back! Bolton have some jokes! What tax charges? The timing of all this is certainly curious since these reports have only come out after the tax charges became public knowledge. And you don’t get to be a figure of Ronaldo’s stature without some PR people who are well versed in the art of distraction. As previously stated, this is a super boring time of year for football news. Journalists would trade their organs for something—anything—to cover at the start of the offseason and it seems like every year a coin is flipped to decide whether it will be a Messi or a Ronaldo transfer story that will serve as the desperate attempt to stave off the monotony of nothingness. Nothing ever comes of these stories, but they achieve their purpose of filling pages and tape. This year, the coin might’ve just landed on Ronaldo. I mean, it’s possible that it’s true and he really does feel angry enough about this tax situation that he wants to flee the country in shame. That doesn’t really seem like the Cristiano way, but people can do things that are out of character when faced with stressful circumstances. I’m sure China would be happy to let him not pay any taxes at all.